This language arts poster is one of a set of 12 posters that explain the different forms of poetry. 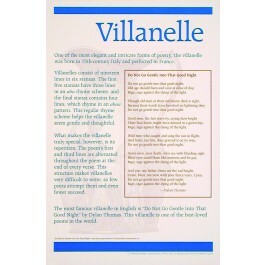 This poster explains what a villanelle is and what its origins are. 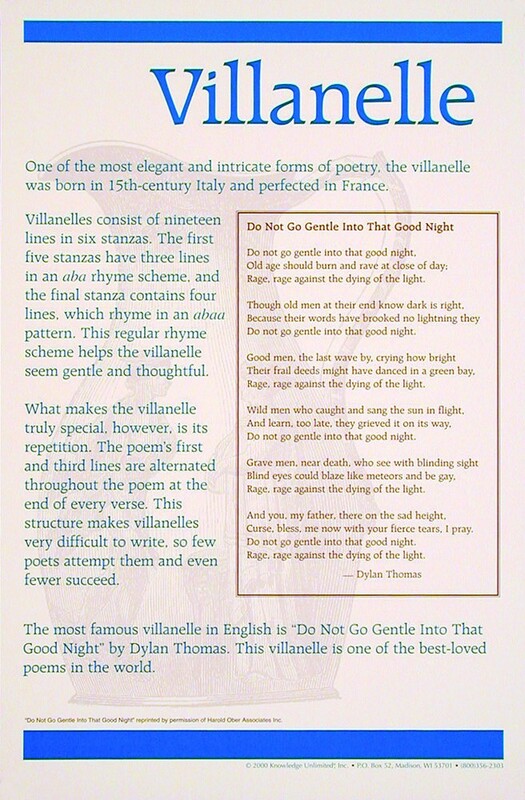 It also features a famous example of a villanelle -- "Do Not Go Gentle Into That Good Night" by Dylan Thomas. This villanelle is one of the best-loved poems in the world.